The Southern Lancaster County Historical Society is locally known as the “Solanco Historical Society,” which is an abbreviated form of Southern Lancaster County: So-Lan-Co. The Solanco Historical Society is located in south-central Pennsylvania, south of the City of Lancaster along State Route 222 and reaches to the state’s border with Maryland at the Mason-Dixon line. 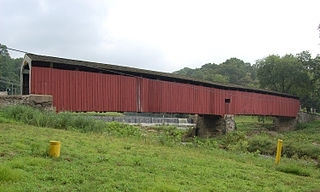 According to the Society’s bylaws, the coverage area encompasses the municipalities of the Borough of Quarryville and the Townships of Bart, Colerain, Drumore, East Drumore, Eden, Fulton, Little Britain, Providence and Sadsbury. In addition to articles, documents and photographs relating to people, events, businesses and railroads in these municipalities, the Society has photographs and information on some of the surrounding townships. The Solanco Historical Society was formed in 1970 and was born out of an effort to write a book documenting the histories of the churches of southern Lancaster County in the late 1960s. Meetings were originally held in members’ homes and items that belonged to the Society were stored wherever space could be found. In December 1977, documents were filed with the Commonwealth of Pennsylvania to incorporate the Society as a nonprofit educational organization. That was followed by filing as a federal 501(c)(3) corporation. Society members began collecting photographs, documents and information relating to local history. Birth, marriage and death records were compiled. A library of books that relate to the history of the area was begun. Local citizens donated old utensils, railroad items, Native American relics and a variety of tools to form a collection of historical artifacts. The Solanco Historical Society’s website is located at www.southernlancasterhistory.org and a Facebook page can be found at www.facebook.com/southernlancastercountyhistoricalsociety. Further research about the area can be conducted at: www.lancasterhistory.org (Lancaster County Historical Society) and at the Conestoga Area Historical Society (pennmanorhistory.org and rootsweb.ancestry.com/~pacahs). The Commonwealth of Pennsylvania purchased the Robert Fulton birthplace in August, 1965 and restored the house to how it was believed to have appeared at the time of Robert Fulton’s birth in 1765. The architects had scant accurate documentation to work from but did their best with the restoration. The additions and porches added in the years after Robert Fulton lived there were torn down. The log section at the rear of the house was rebuilt. Furniture of the Colonial period was collected and placed to reflect a farming household. A garden was created behind the Fulton house with historically accurate plantings. A building which includes a garden shed and visitors’ restroom facility was added in a style in keeping with the historic nature of the site. A small barn was repurposed for the use of a gift shop. Across the street, a wood-sided granary and a brick warehouse remain, both of which were added after Fulton’s time but are representative of the continuing use of the property as a farm until the purchase by the State. A railroad previously ran alongside the warehouse and granary for pickup of farm produce. Joseph Swift purchased the property in 1772 and several generations of the family continued to live and farm there until 1965. 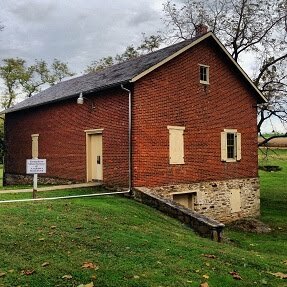 The Solanco Historical Society reached an agreement with the Commonwealth of Pennsylvania’s Bureau of Historic Sites and Museums to manage the Robert Fulton birthplace property in 1978. The Society applied for and received a grant from the Lancaster County Redevelopment Authority to renovate the warehouse into an archive and meeting hall. Heating and plumbing were installed, the walls were finished and painted, and doors and windows were repaired and painted. A formal long-term Management Agreement between the Commonwealth of Pennsylvania and the Solanco Historical Society was signed in May, 1982. Both the Commonwealth and the Society benefited from this agreement. Through the years, members of the Society have volunteered their time as tour guides at the Robert Fulton birthplace and have provided general upkeep of the five buildings and surrounding grounds in exchange for use of the archives warehouse. Fundraising events such as concerts, craft fairs, calendar sales (as seen in the photograph at left) and holiday greens sales have been held to provide funds for general maintenance. The Commonwealth had contributed funds towards the upkeep on a regular basis until the recession of 2008. Since then occasional grants have provided funds for major repairs such as slate roof reconstruction. From 1982 until 2017, members of the Southern Lancaster County Historical Society, under a management agreement with the Pennsylvania Historical and Museum Commission, had provided routine maintenance of the Birthplace and guided tours for the public. In exchange for these services, the Society maintained its archives, office and meeting place at the warehouse across the highway from the Robert Fulton Birthplace on Robert Fulton Highway (Route 222). In February 2017 the Deed to the Birthplace property was transferred to the Historical Society with several restrictive covenants to ensure the preservation and upkeep of the five buildings on the property and the continuation of public access. The buildings include the Birthplace, the archives warehouse, a granary, a small barn now used as a gift shop and storage building, and a newer outbuilding for public restrooms and garden supply storage. The Society now has full financial and maintenance responsibility for the buildings and surrounding property. Under the direction of Schools Superintendent Martin Hudacs, a series of Strategic Planning meetings was held in the winter of 2013 for the purpose of identifying the Society’s strengths and weaknesses and to form an action plan for the future. Not only Society members but assorted members of the community were invited to participate and add their comments and suggestions. The plan was finalized and the Society’s Board of Directors accepted the plan in May, 2013. The Society’s officers and committee members have been taking steps to implement various proposals in the plan. It is hoped that these actions will keep a focus on our objectives, increase membership, strengthen our commitment to our mission, and broaden our presence in the community that we serve. § Anonymous Donor who provided new chairs, parking lot restoration, archives roof repair; automatic defibrillator; and water purifiers.